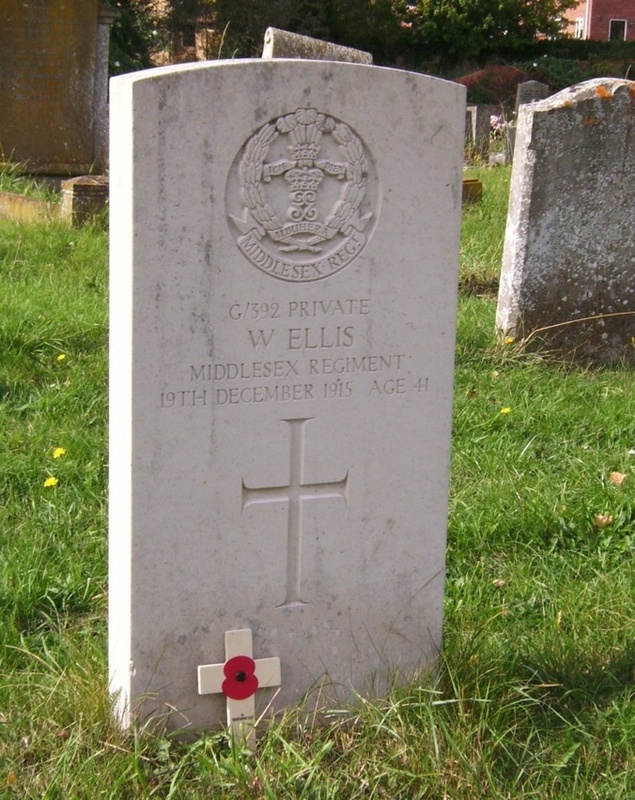 Today is Remembrance Day and I’m posting this picture in remembrance of my great-grandfather William Ellis. William was a private in the 4th Battalion of the Middlesex Regiment and died at Bagthorpe Military Hospital in Nottingham as a result of gunshot wounds sustained in action near Ypres in Belgium in 1915. He is buried in his home village of Somersham in Huntingdonshire.